Anhui Normal University, Anhui, China, 1997. Institute of Biochemistry and Cell Biology, Chinese Academy of Sciences, Shanghai, China, 2002. To understand the basic mechanisms underlying oncogene-induced senescence, an important tumor suppression mechanism. To identify novel intervention strategies for epithelial ovarian cancer (EOC), the most lethal gynecological malignancy in the developed world. It is well known that cancer is a disease caused by oncogene activation and inactivation of tumor suppressor genes. Paradoxically, activation of oncogenes or inactivation of tumor suppressor genes alone in primary mammalian cells often triggers a state of stable cell growth arrest, known as cellular senescence. Overcoming the senescence-associated cell growth arrest is a necessary step during cell transformation. It is therefore critical to understand the mechanistic basis of oncogenic signaling in the context of senescence induction and bypass. This biological process represents an ideal paradigm to examine the role of DNA damage response, epigenetically determined chromatin structure, and metabolic reprogramming during cancer initiation and progression. A major discovery in recent cancer genome-wide sequencing is the identification of significant genetic changes in chromatin-modifying genes. However, despite great strides in identifying the various epigenetic enzymes/factors involved in cancer, the translational application of these findings in cancer intervention remains to be explored. Zhang lab will pursue these issues in the coming years by focusing on the epigenetic SWI/SNF and PRC2 complexes as proof of principles in the context of ovarian cancer and melanoma. Zhang lab will continue to use its strengths in biochemical, molecular and cellular cancer biology to decipher the mechanistic basis of cancer. Simultaneously, the lab will increase its focus on the utilization of model organisms, including genetic mouse models, and carefully chosen clinically relevant pre-clinical cancer models to explore the translational application of the mechanistic findings. His laboratory primarily focuses on ovarian cancer, which ranks first as the cause of death for gynecological cancers in the developed world. 1. Chromatin basis of senescence-associated secretory phenotype. 2. Targeting senescence-associated metabolic vulnerability to develop cancer therapeutics. 3. Targeting senescence-associated immunological vulnerability to develop cancer therapeutics. 4. Epigenetic approaches to therapy resistance in ovarian cancer. 5. Epigenetic approaches to immunological therapeutic targets in ovarian cancer. 6. Developing mechanism guided therapeutic strategies for loss of function mutations in the SWI/SNF complex subunits such as ARID1A and ARID2 in ovarian cancer and melanoma. 7. PARP inhibitors resistance mechanism in "BRCAness" ovarian cancer. Bitler BG, Wu S, Park PH, Hai Y, Aird KM, Wang Y, Zhai Y, Kossenkov AV, Vara-Ailor A, Rauscher FJ III, Zou W, Speicher DW, Huntsman DG, Conejo-Garcia JR, Cho KR, Christianson DW, Zhang R.: ARID1A-mutated ovarian cancers depend on HDAC6 activity. Nature Cell Biology 19(8): 962-973, 2017. Svoronos N, Perales-Puchalt A, Allegrezza MJ, Rutkowski MR, Payne KK, Tesone AJ, Nguyen JM, Curiel TJ, Cadungog MG, Singhal S, Eruslanov EB, Zhang P, Tchou J, Zhang R, Conejo-Garcia JR.: Tumor cell-independent estrogen signaling drives disease progression through mobilization of myeloid-derived suppressor cells. Cancer Discovery 7(1): 72-85, 2017. Zhu H, Bengsch F, Svoronos N, Rutkowski MR, Bitler BG, Allegrezza MJ, Yokoyama Y, Kossenkov AV, Bradner JE, Conejo-Garcia JR, Zhang R.: BET bromodomain inhibition promotes anti-tumor immunity by suppressing PD-L1 expression. Cell Reports 16(11): 2829-37, 2016. Aird KM, Iwasaki O, Kossenkov AV, Tanizawa H, Fatkhutdinov N, Bitler BG, Le L, Alicea G, Yang T, Johnson FB, Noma K, Zhang R.: HMGB2 orchestrates the chromatin landscape of senescence-associated secretory phenotype gene loci. Journal of Cell Biology 215(3): 325-334, 2016. Yokoyama Y, Zhu H, Lee JH, Kossenkov AV, Wu S, Wickramasinghe JM, Yin X, Palozola KC, Gardini A, Showe LC, Zaret KS, Liu Q, Speicher D, Conejo-Garcia JR, Bradner JE, Zhang Z, Sood AK, Ordog T, Bitler BG, Zhang R.: BET inhibitors suppress ALDH activity by targeting ALDH1A1 super-enhancer in ovarian cancer. Cancer Research 76(21): 6320-6330, 2016. Bitler BG, Garipov A, Amatangelo M, Kossenkov A, Schultz DC, Shih IM, Conejo-Garcia JR, Speicher DW, Zhang R. : Synthetic lethality by targeting EZH2 methyltransferase activity in ARID1A-mutated cancers. Nature Medicine 21(3): 231-238, 2015. Aird KM, Worth AJ, Snyder NW, Lee JV, Sivanand S, Liu Q, Blair IA, Wellen KE, Zhang R.: ATM couples replication stress and metabolic reprogramming during cellular senescence. Cell Reports 11(6): 893-901, 2015. 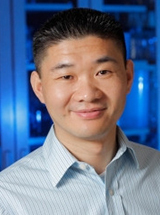 Aird KM, Zhang G, Li H, Tu Z, Bitler BG, Garipov A, Wu H, Wei Z, Wagner SN, Herlyn M, Zhang R.: Suppression of Nucleotide Metabolism Underlies the Establishment and Maintenance of Oncogene-Induced Senescence. Cell Reports 3: 1252-1265, 2013. Bitler, B. G., Nicodemus, J. P., Li, H., Cai, Q., Wu, H., Hua, X., Li, T., Birrer, M. J., Godwin, A. K., Cairns, P., Zhang, R.: Wnt5a suppresses epithelial ovarian cancer by promoting cellular senescence. Cancer Research 71(19): 6184-94, 2011. Tu, Z., Aird, K. M., Bitler, B. G., Nicodemus, J. P., Beeharry, N., Xia, B., Yen, T. J., Zhang, R.: Oncogenic RAS regulates BRIP1 expression to induce dissociation of BRCA1 from chromatin, inhibit DNA repair, and promote senescence. Developmental Cell 21(6): 1077-91, 2011.